Our professionals at Advanced Dental maintain the highest levels of accreditation and pursue ongoing education to stay current with the latest trends in dentistry. 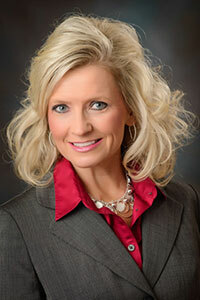 Dr. DeWitte, her husband (Matthew) and son (Gilbert) returned to South Dakota in 2003 to be close to their families. Dr. DeWitte spends most weekends enjoying listening to her son play cello, piano, saxophone, or one of the other many instruments he performs on. In her spare time, she enjoys traveling, relaxing with friends, staying active, and sitting back and savoring a really good cup of coffee.  The DeWitte family has a Shih Tzu dog named Andy and a Elenora cockatoo named Lilikoi. 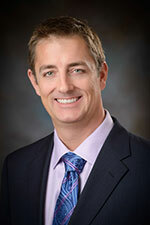 Dr. DeWitte continues to be active in various dental groups such as the South Dakota Dental Association, the Southeastern District Dental Society, the American Dental Association, and the Siouxland Dental Implant Study Club. Dr. DeWitte has a great interest in cosmetics and enjoys changing people's lives through their smiles. Our practice prides itself on providing comfortable, preventative and cosmetic care. 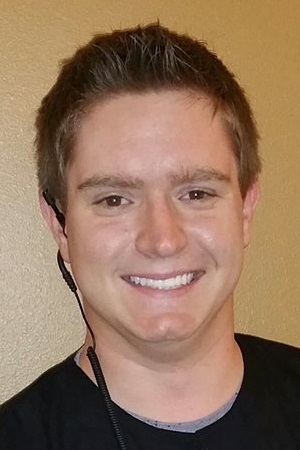 Dr. DeWitte enjoys being very talkative with patients and being able to put patients at ease. 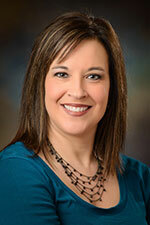 She looks forward to being able to help all patients relax, rejuvenate, and restore. Linda Linda is one of our Front Desk professionals. Linda lives in Sioux Falls with her husband Tim, and their Cavalier King Charles, Percy. Both of her adult children live in the area, so she gets to enjoy spoiling her 2 granddaughters frequently. In her spare time, Linda enjoys scrapbooking, shopping and decorating. Matt Matt is Advanced Dental's Business Manager. A Sioux Falls native, he graduated from O'Gorman High School and then obtained a BS in Mechanical Engineering from South Dakota State University in Brookings, SD. After spending several years in both Lincoln, NE and Eau Claire, WI he returned to Sioux Falls with his family. Matt enjoys spending his spare time travelling and spending time with family. He enjoys watching and listenting to his son, Gilbert, perform in various musical groups as a cellist, pianist and saxophone player. 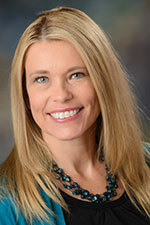 Keri Keri is a dental hygienist who graduated from the University of South Dakota in 2001. 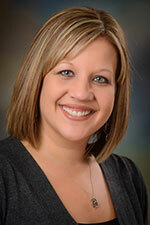 Keri has been with Advanced Dental for over 10 years and enjoys getting to know all of her patients. Keri and her husband, Todd, have one daughter (Paxton) and two sons (Easton and Oakley). In her spare time, Keri enjoys working out and watching her children in all of their sporting events. Jennifer Jennifer graduated from the University of South Dakota in 1992. A Rapid City native, Jennifer and her family have lived in Sioux Falls since 2010. She and her husband have two children. Her son, Chase, attends South Dakota State University and her daughter, Brooklin, who is currently at Roosevelt High School and will be attending Northern State University in the Fall of 2018. Annie Annie moved to Sioux Falls from Parkston, SD in 2004 after graduating high school. She went to Southeast Technical Institute for Business Management and then Cosmetology School. In 2013, Annie decided she wanted a career in dentistry because of her interest in the dental work she had done in the past. In her free time, Annie likes to read, relax, and spend time with family and friends. She also enjoys spending time with her fiance, Jeremy, and their dogs, Bentley and Archie. Austin Austin is our Dental Intern. He is a Sioux Falls native. He is currently attending undergraduate studies at the University of Minnesota in Minneapolis, MN. After graduating from the UMN, Austin plans on pursuing a degree as a Doctor of Dental Surgery. 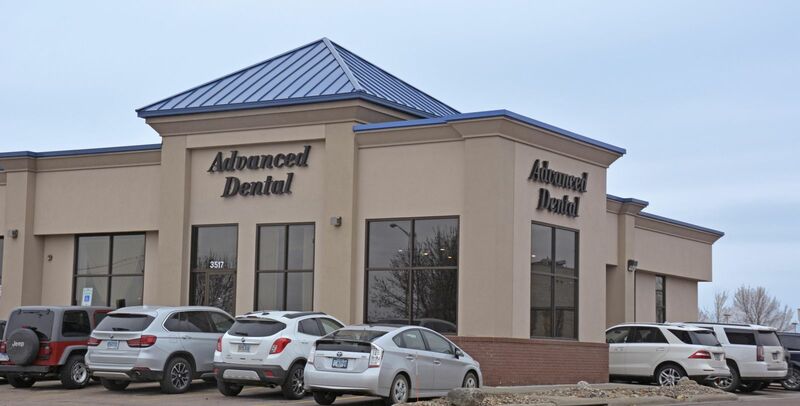 Comfort and convenience are the hallmarks of Advanced Dental's office operations. Below you can find information regarding our hours, location, appointment scheduling, insurance acceptance and billing. We have made requesting an appointment a simple process. If you cannot keep your scheduled appointment, please call us to reschedule. Our office accepts a variety of different insurance carriers. Our administrative staff is always here to assist you with any scheduling or insurance questions you may have. Please call our office staff so we can help determine your dental benefit as estimated by your insurance carrier. 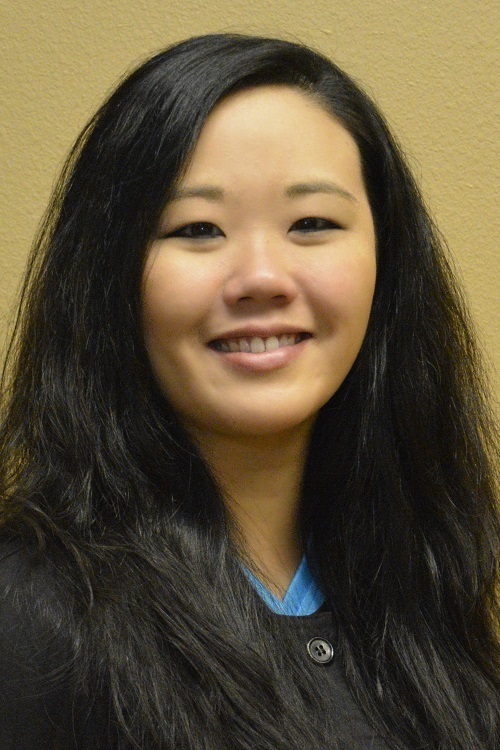 As a licensed dentist in Sioux Falls, SD we work with our patients so they can achieve and maintain a beautiful smile and healthier gums and teeth. We take the time with our patients to explain their treatment options and inform them of additional preventative care. We feel this will lead to a more trusting doctor/patient relationship and, for many people, relieve the stress about seeing a dentist. We take pride in providing you with a comfortable office experience where our qualified staff is friendly and knowledgeable. Our office is conveniently located in Sioux Falls, SD and we invite you to call with any questions or email us via the contact us or request an appointment page of our Web site. We will do everything possible to ensure you a pleasant visit. Our office offers dental care financing solutions through Care Credit. Please visit the link below to apply online and receive additional information.